Meet two authors whose real lives are just as exciting as any made-up story. It’s tempting to be envious – but don’t get jealous. Get inspired! In these books, you’ll get to know two iconic children’s writers, learning all sorts of surprising facts about them. For example: did you know that Noughts and Crosses author Malorie Blackman originally worked as a computer programmer? (No wonder her books are so futuristic!) 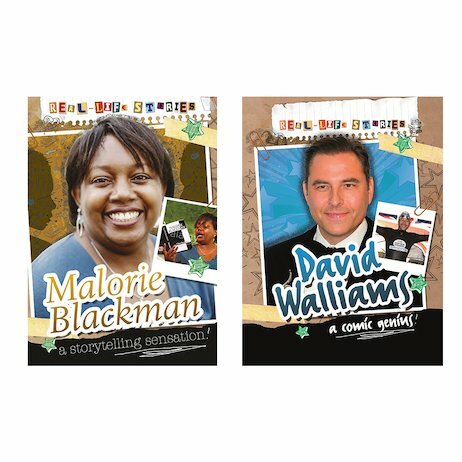 Or that genius author David Walliams is a sporting hero in his spare time? Find out about their lives, their childhood, their interests and their incredible work. The perfect inspiration. If they can do it, so can you!